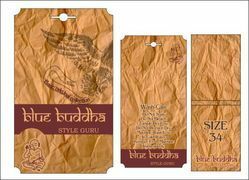 Leading Exporter of silk screen printed handmade paper tag, mulberry handmade paper tag, handmade paper tags for garments, paper tags for international garment, paper tags for clothing tags and paper tags from Mumbai. Exotic Silk Screen Printed Handmade Paper Tag, Made using Cotton Rag Handmade Paper sheets, with a inner sticker Sheet for writing your messages, the Tag is of size 3*2 and we can customize Tag size, Tag shape, Paper Color and Print Color as per your requirements, we can also print your logo or branding. We manufacture a huge range Of Paper Tags suitable for the Apparel, Home Furnishing and Gift Industry, we undertake Foil stamping, UV printing, Embossing, Offset Printing, Silk Screen Printing on the same for our clients. We work with a wide variety of Base Papers from Mill made papers, Recycled Papers to Handmade Papers, Bulk Orders only Tags are available with Rivets, with Stick Ons and with Ribbon Ties. We also undertake Custom made Tags for clients and you can provide us with your designs and themes , Our Most Popular Tag has been made with Mulberry Handmade Paper. 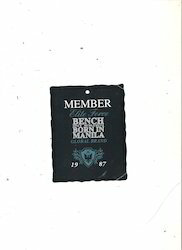 We have a huge manufacturing facility and ability to make Paper Tags. We manufacture a huge range Of Paper Tags suitable for the Apparel, Home Furnishing and Gift Industry, we undertake Foil stamping, UV printing, Embossing, Offset Printing, Silk Screen Printing on the same for our clients. We work with a wide variety of Base Papers from Mill made papers, Recycled Papers to Handmade Papers, Bulk Orders only Tags are available with Rivets, with Stick Ons and with Ribbon Ties. We also undertake Custom made Tags for clients and you can provide us with your designs and themes , Our Most Popular Tag has been made with Mulberry Handmade Paper. We have a huge manufacturing facility and ability to make Paper Tags. We also have a inhouse design team and can help you with the design of the tags. Paper Tags custom made for International Apparel Manufacturers, We manufacture a huge range Of Paper Tags suitable for the Apparel, Home Furnishing and Gift Industry, we undertake Foil stamping, UV printing, Embossing, Offset Printing, Silk Screen Printing on the same for our clients. We work with a wide variety of Base Papers from Mill made papers, Recycled Papers to Handmade Papers, Bulk Orders only Tags are available with Rivets, with Stick Ons and with Ribbon Ties. We also undertake Custom made Tags for clients and you can provide us with your designs and themes , Our Most Popular Tag has been made with Mulberry Handmade Paper. We have a huge manufacturing facility and ability to make Paper Tags. We also have a inhouse design team and can help you with the design of the tags. We also try and understand your requirement, our client service team helps you get tags that actually meets your needs, we just do not make Tags , we try and understand what exactly you need We supply our Tags to Garment and Clothing , Bag and Watch Manufacturers Worldwide. We have a fantastically large range of Handmade Papers that are also suitable for making Tags, We also make 9-10 Color Tags using Hand Screen Prints, which look exceptionally Beautiful. Our Handmade Paper Tags are very popular with eco friendly, earth Friendly product manufacturers. We supply Paper Tags to International Manufacturers who have contracted their Apparel Production in India. We also manufacture Gift Tags. We also manufacture and supply Paper tags for Tag Stockers Worldwide. Our Range of Paper tags for Apparel and Clothing manufacturers is vast and Extensive, we provide a large variety of finishes for our tags and can definitely manufacture tags that meet your specifications. Custom made Paper tags for Apparel Manufacturers worldwide, this particular tag has a printed Pvc sheet with a Card Board Backing, our paper tags can be made available in any design and theme as per your requirement,.Paper Tags custom made for International Apparel Manufacturers, We manufacture a huge range Of Paper Tags suitable for the Apparel, Home Furnishing and Gift Industry, we undertake Foil stamping, UV printing, Embossing, Offset Printing, Silk Screen Printing on the same for our clients. We work with a wide variety of Base Papers from Mill made papers, Recycled Papers to Handmade Papers, Bulk Orders only Tags are available with Rivets, with Stick Ons and with Ribbon Ties. We also undertake Custom made Tags for clients and you can provide us with your designs and themes , Our Most Popular Tag has been made with Mulberry Handmade Paper. We have a huge manufacturing facility and ability to make Paper Tags. We also have a inhouse design team and can help you with the design of the tags. We also try and understand your requirement, our client service team helps you get tags that actually meets your needs, we just do not make Tags , we try and understand what exactly you need We supply our Tags to Garment and Clothing , Bag and Watch Manufacturers Worldwide. We have a fantastically large range of Handmade Papers that are also suitable for making Tags, We also make 9-10 Color Tags using Hand Screen Prints, which look exceptionally Beautiful. Our Handmade Paper Tags are very popular with eco friendly, earth Friendly product manufacturers. We supply Paper Tags to International Manufacturers who have contracted their Apparel Production in India. 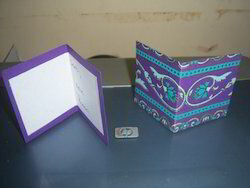 We also manufacture Gift Tags. We also manufacture and supply Paper tags for Tag Stockers Worldwide. We manufacture a large range of Paper Tags for Garment Manufacturers with Barcodes Printed on the same.We have become a one stop source for all Customers looking for a large range of Paper Tags for Apparel, clothing and Home Furnishing Industry, our Paper Tags are available in a wide variety of finishes and can be customized as per your requirements.Our Range of Paper tags for Apparel and Clothing manufacturers is vast and Extensive, we provide a large variety of finishes for our tags and can definitely manufacture tags that meet your specifications. Custom made Paper tags for Apparel Manufacturers worldwide, this particular tag has a printed Pvc sheet with a Card Board Backing, our paper tags can be made available in any design and theme as per your requirement,.Paper Tags custom made for International Apparel Manufacturers, We manufacture a huge range Of Paper Tags suitable for the Apparel, Home Furnishing and Gift Industry, we undertake Foil stamping, UV printing, Embossing, Offset Printing, Silk Screen Printing on the same for our clients. We work with a wide variety of Base Papers from Mill made papers, Recycled Papers to Handmade Papers, Bulk Orders only Tags are available with Rivets, with Stick Ons and with Ribbon Ties. We also undertake Custom made Tags for clients and you can provide us with your designs and themes , Our Most Popular Tag has been made with Mulberry Handmade Paper. We have a huge manufacturing facility and ability to make Paper Tags. We also have a inhouse design team and can help you with the design of the tags. We also try and understand your requirement, our client service team helps you get tags that actually meets your needs, we just do not make Tags , we try and understand what exactly you need We supply our Tags to Garment and Clothing , Bag and Watch Manufacturers Worldwide. We have a fantastically large range of Handmade Papers that are also suitable for making Tags, We also make 9-10 Color Tags using Hand Screen Prints, which look exceptionally Beautiful. Our Handmade Paper Tags are very popular with eco friendly, earth Friendly product manufacturers. We supply Paper Tags to International Manufacturers who have contracted their Apparel Production in India. We also manufacture Gift Tags. 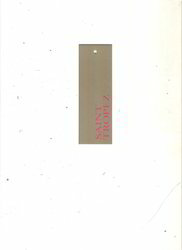 We also manufacture and supply Paper tags for Tag Stockers Worldwide. We manufacture a large range of Tags for The Apparel and Garment Industry, Tags are available with Foil Stamping, UV, etc. Garment Tags made from Handmade Paper, 100% Eco Friendly and Organic, Apparel Tags can be made available as per your requirement.International Apparel Garment Tags , made in Good Quality Paper with Punched Holes and with UV and Foil Stamping.We manufacture a large range of Paper Tags for Garment Manufacturers with Barcodes Printed on the same.We have become a one stop source for all Customers looking for a large range of Paper Tags for Apparel, clothing and Home Furnishing Industry, our Paper Tags are available in a wide variety of finishes and can be customized as per your requirements.Our Range of Paper tags for Apparel and Clothing manufacturers is vast and Extensive, we provide a large variety of finishes for our tags and can definitely manufacture tags that meet your specifications. Custom made Paper tags for Apparel Manufacturers worldwide, this particular tag has a printed Pvc sheet with a Card Board Backing, our paper tags can be made available in any design and theme as per your requirement,.Paper Tags custom made for International Apparel Manufacturers, We manufacture a huge range Of Paper Tags suitable for the Apparel, Home Furnishing and Gift Industry, we undertake Foil stamping, UV printing, Embossing, Offset Printing, Silk Screen Printing on the same for our clients. We work with a wide variety of Base Papers from Mill made papers, Recycled Papers to Handmade Papers, Bulk Orders only Tags are available with Rivets, with Stick Ons and with Ribbon Ties. We also undertake Custom made Tags for clients and you can provide us with your designs and themes , Our Most Popular Tag has been made with Mulberry Handmade Paper. We have a huge manufacturing facility and ability to make Paper Tags. We also have a inhouse design team and can help you with the design of the tags. We also try and understand your requirement, our client service team helps you get tags that actually meets your needs, we just do not make Tags , we try and understand what exactly you need We supply our Tags to Garment and Clothing , Bag and Watch Manufacturers Worldwide. We have a fantastically large range of Handmade Papers that are also suitable for making Tags, We also make 9-10 Color Tags using Hand Screen Prints, which look exceptionally Beautiful. Our Handmade Paper Tags are very popular with eco friendly, earth Friendly product manufacturers. We supply Paper Tags to International Manufacturers who have contracted their Apparel Production in India. We also manufacture Gift Tags. We also manufacture and supply Paper tags for Tag Stockers Worldwide. Our Specialty lies in the ability to manufacture Custom Printed Paper Tags.We manufacture a large range of Tags for The Apparel and Garment Industry, Tags are available with Foil Stamping, UV, etc. Garment Tags made from Handmade Paper, 100% Eco Friendly and Organic, Apparel Tags can be made available as per your requirement.International Apparel Garment Tags , made in Good Quality Paper with Punched Holes and with UV and Foil Stamping.We manufacture a large range of Paper Tags for Garment Manufacturers with Barcodes Printed on the same.We have become a one stop source for all Customers looking for a large range of Paper Tags for Apparel, clothing and Home Furnishing Industry, our Paper Tags are available in a wide variety of finishes and can be customized as per your requirements.Our Range of Paper tags for Apparel and Clothing manufacturers is vast and Extensive, we provide a large variety of finishes for our tags and can definitely manufacture tags that meet your specifications. Custom made Paper tags for Apparel Manufacturers worldwide, this particular tag has a printed Pvc sheet with a Card Board Backing, our paper tags can be made available in any design and theme as per your requirement,.Paper Tags custom made for International Apparel Manufacturers, We manufacture a huge range Of Paper Tags suitable for the Apparel, Home Furnishing and Gift Industry, we undertake Foil stamping, UV printing, Embossing, Offset Printing, Silk Screen Printing on the same for our clients. We work with a wide variety of Base Papers from Mill made papers, Recycled Papers to Handmade Papers, Bulk Orders only Tags are available with Rivets, with Stick Ons and with Ribbon Ties. We also undertake Custom made Tags for clients and you can provide us with your designs and themes , Our Most Popular Tag has been made with Mulberry Handmade Paper. 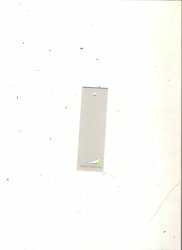 We have a huge manufacturing facility and ability to make Paper Tags. We also have a inhouse design team and can help you with the design of the tags. We also try and understand your requirement, our client service team helps you get tags that actually meets your needs, we just do not make Tags , we try and understand what exactly you need We supply our Tags to Garment and Clothing , Bag and Watch Manufacturers Worldwide. We have a fantastically large range of Handmade Papers that are also suitable for making Tags, We also make 9-10 Color Tags using Hand Screen Prints, which look exceptionally Beautiful. Our Handmade Paper Tags are very popular with eco friendly, earth Friendly product manufacturers. We supply Paper Tags to International Manufacturers who have contracted their Apparel Production in India. We also manufacture Gift Tags. We also manufacture and supply Paper tags for Tag Stockers Worldwide. Crumpled Paper Tags made to give you a Old, Vintage and Rustic Look with Print. Elegant design Printed Paper Tags. Trendy Design Printed Paper Tags for Denim Garment Manufacturers. Old Look Printed Paper Tags, ideal for Worn Out Jeans and other Related Products.Custom Printed Tags, made especially for Denim Garment Manufacturers.We manufacture a Our Specialty lies in the ability to manufacture Custom Printed Paper Tags.We manufacture a large range of Tags for The Apparel and Garment Industry, Tags are available with Foil Stamping, UV, etc. Garment Tags made from Handmade Paper, 100% Eco Friendly and Organic, Apparel Tags can be made available as per your requirement.International Apparel Garment Tags , made in Good Quality Paper with Punched Holes and with UV and Foil Stamping.We manufacture a large range of Paper Tags for Garment Manufacturers with Barcodes Printed on the same.We have become a one stop source for all Customers looking for a large range of Paper Tags for Apparel, clothing and Home Furnishing Industry, our Paper Tags are available in a wide variety of finishes and can be customized as per your requirements.Our Range of Paper tags for Apparel and Clothing manufacturers is vast and Extensive, we provide a large variety of finishes for our tags and can definitely manufacture tags that meet your specifications. Custom made Paper tags for Apparel Manufacturers worldwide, this particular tag has a printed Pvc sheet with a Card Board Backing, our paper tags can be made available in any design and theme as per your requirement,.Paper Tags custom made for International Apparel Manufacturers, We manufacture a huge range Of Paper Tags suitable for the Apparel, Home Furnishing and Gift Industry, we undertake Foil stamping, UV printing, Embossing, Offset Printing, Silk Screen Printing on the same for our clients. We work with a wide variety of Base Papers from Mill made papers, Recycled Papers to Handmade Papers, Bulk Orders only Tags are available with Rivets, with Stick Ons and with Ribbon Ties. We also undertake Custom made Tags for clients and you can provide us with your designs and themes , Our Most Popular Tag has been made with Mulberry Handmade Paper. We have a huge manufacturing facility and ability to make Paper Tags. We also have a inhouse design team and can help you with the design of the tags. We also try and understand your requirement, our client service team helps you get tags that actually meets your needs, we just do not make Tags , we try and understand what exactly you need We supply our Tags to Garment and Clothing , Bag and Watch Manufacturers Worldwide. We have a fantastically large range of Handmade Papers that are also suitable for making Tags, We also make 9-10 Color Tags using Hand Screen Prints, which look exceptionally Beautiful. 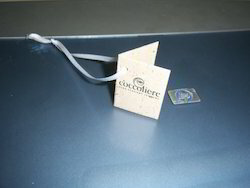 Our Handmade Paper Tags are very popular with eco friendly, earth Friendly product manufacturers. We supply Paper Tags to International Manufacturers who have contracted their Apparel Production in India. We also manufacture Gift Tags. 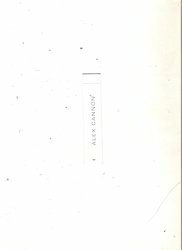 We also manufacture and supply Paper tags for Tag Stockers Worldwide. 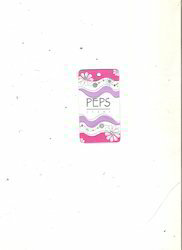 Paper Tags suitable for Jeans Manufacturers available in a wide variety of Sizes, Textures. Custom Printed Paper Tags available in A wide Variety of Papers and Prints. Old Look Paper Tags to give a vintage, look, ideal for use in Denim Clothing. 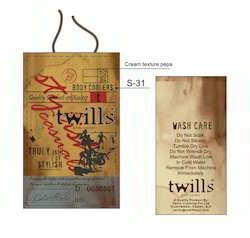 Crumpled Paper Tags made to give you a Old, Vintage and Rustic Look with Print. Elegant design Printed Paper Tags. Trendy Design Printed Paper Tags for Denim Garment Manufacturers. Old Look Printed Paper Tags, ideal for Worn Out Jeans and other Related Products.Custom Printed Tags, made especially for Denim Garment Manufacturers.We manufacture a Our Specialty lies in the ability to manufacture Custom Printed Paper Tags.We manufacture a large range of Tags for The Apparel and Garment Industry, Tags are available with Foil Stamping, UV, etc. Garment Tags made from Handmade Paper, 100% Eco Friendly and Organic, Apparel Tags can be made available as per your requirement.International Apparel Garment Tags , made in Good Quality Paper with Punched Holes and with UV and Foil Stamping.We manufacture a large range of Paper Tags for Garment Manufacturers with Barcodes Printed on the same.We have become a one stop source for all Customers looking for a large range of Paper Tags for Apparel, clothing and Home Furnishing Industry, our Paper Tags are available in a wide variety of finishes and can be customized as per your requirements.Our Range of Paper tags for Apparel and Clothing manufacturers is vast and Extensive, we provide a large variety of finishes for our tags and can definitely manufacture tags that meet your specifications. Custom made Paper tags for Apparel Manufacturers worldwide, this particular tag has a printed Pvc sheet with a Card Board Backing, our paper tags can be made available in any design and theme as per your requirement,.Paper Tags custom made for International Apparel Manufacturers, We manufacture a huge range Of Paper Tags suitable for the Apparel, Home Furnishing and Gift Industry, we undertake Foil stamping, UV printing, Embossing, Offset Printing, Silk Screen Printing on the same for our clients. We work with a wide variety of Base Papers from Mill made papers, Recycled Papers to Handmade Papers, Bulk Orders only Tags are available with Rivets, with Stick Ons and with Ribbon Ties. We also undertake Custom made Tags for clients and you can provide us with your designs and themes , Our Most Popular Tag has been made with Mulberry Handmade Paper. We have a huge manufacturing facility and ability to make Paper Tags. We also have a inhouse design team and can help you with the design of the tags. We also try and understand your requirement, our client service team helps you get tags that actually meets your needs, we just do not make Tags , we try and understand what exactly you need We supply our Tags to Garment and Clothing , Bag and Watch Manufacturers Worldwide. We have a fantastically large range of Handmade Papers that are also suitable for making Tags, We also make 9-10 Color Tags using Hand Screen Prints, which look exceptionally Beautiful. Our Handmade Paper Tags are very popular with eco friendly, earth Friendly product manufacturers. We supply Paper Tags to International Manufacturers who have contracted their Apparel Production in India. 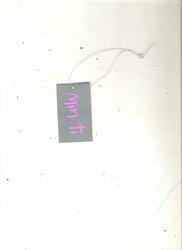 We also manufacture Gift Tags. We also manufacture and supply Paper tags for Tag Stockers Worldwide. 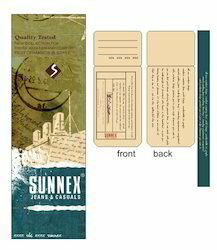 Printed Paper Tags custom made as per client specifications. Handmade Paper Tags available in a variety of sizes. 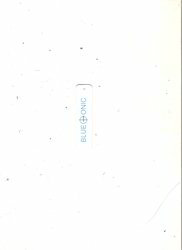 Paper Tags suitable for Jeans Manufacturers available in a wide variety of Sizes, Textures. Custom Printed Paper Tags available in A wide Variety of Papers and Prints. Old Look Paper Tags to give a vintage, look, ideal for use in Denim Clothing. Crumpled Paper Tags made to give you a Old, Vintage and Rustic Look with Print. Elegant design Printed Paper Tags. Trendy Design Printed Paper Tags for Denim Garment Manufacturers. Old Look Printed Paper Tags, ideal for Worn Out Jeans and other Related Products.Custom Printed Tags, made especially for Denim Garment Manufacturers.We manufacture a Our Specialty lies in the ability to manufacture Custom Printed Paper Tags.We manufacture a large range of Tags for The Apparel and Garment Industry, Tags are available with Foil Stamping, UV, etc. Garment Tags made from Handmade Paper, 100% Eco Friendly and Organic, Apparel Tags can be made available as per your requirement.International Apparel Garment Tags , made in Good Quality Paper with Punched Holes and with UV and Foil Stamping.We manufacture a large range of Paper Tags for Garment Manufacturers with Barcodes Printed on the same.We have become a one stop source for all Customers looking for a large range of Paper Tags for Apparel, clothing and Home Furnishing Industry, our Paper Tags are available in a wide variety of finishes and can be customized as per your requirements.Our Range of Paper tags for Apparel and Clothing manufacturers is vast and Extensive, we provide a large variety of finishes for our tags and can definitely manufacture tags that meet your specifications. Custom made Paper tags for Apparel Manufacturers worldwide, this particular tag has a printed Pvc sheet with a Card Board Backing, our paper tags can be made available in any design and theme as per your requirement,.Paper Tags custom made for International Apparel Manufacturers, We manufacture a huge range Of Paper Tags suitable for the Apparel, Home Furnishing and Gift Industry, we undertake Foil stamping, UV printing, Embossing, Offset Printing, Silk Screen Printing on the same for our clients. We work with a wide variety of Base Papers from Mill made papers, Recycled Papers to Handmade Papers, Bulk Orders only Tags are available with Rivets, with Stick Ons and with Ribbon Ties. We also undertake Custom made Tags for clients and you can provide us with your designs and themes , Our Most Popular Tag has been made with Mulberry Handmade Paper. We have a huge manufacturing facility and ability to make Paper Tags. We also have a inhouse design team and can help you with the design of the tags. We also try and understand your requirement, our client service team helps you get tags that actually meets your needs, we just do not make Tags , we try and understand what exactly you need We supply our Tags to Garment and Clothing , Bag and Watch Manufacturers Worldwide. We have a fantastically large range of Handmade Papers that are also suitable for making Tags, We also make 9-10 Color Tags using Hand Screen Prints, which look exceptionally Beautiful. Our Handmade Paper Tags are very popular with eco friendly, earth Friendly product manufacturers. We supply Paper Tags to International Manufacturers who have contracted their Apparel Production in India. We also manufacture Gift Tags. We also manufacture and supply Paper tags for Tag Stockers Worldwide. 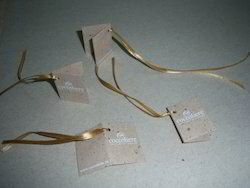 Printed Paper Tags custom made as per client specifications. Handmade Paper Tags available in a variety of sizes. 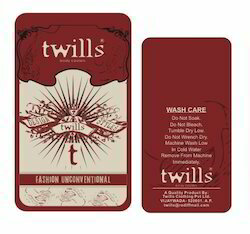 Paper Tags suitable for Jeans Manufacturers available in a wide variety of Sizes, Textures. Custom Printed Paper Tags available in A wide Variety of Papers and Prints. Old Look Paper Tags to give a vintage, look, ideal for use in Denim Clothing. Crumpled Paper Tags made to give you a Old, Vintage and Rustic Look with Print. Elegant design Printed Paper Tags. Trendy Design Printed Paper Tags for Denim Garment Manufacturers. Old Look Printed Paper Tags, ideal for Worn Out Jeans and other Related Products.Custom Printed Tags, made especially for Denim Garment Manufacturers.We manufacture a Our Specialty lies in the ability to manufacture Custom Printed Paper Tags.We manufacture a large range of Tags for The Apparel and Garment Industry, Tags are available with Foil Stamping, UV, etc. Garment Tags made from Handmade Paper, 100% Eco Friendly and Organic, Apparel Tags can be made available as per your requirement.International Apparel Garment Tags , made in Good Quality Paper with Punched Holes and with UV and Foil Stamping.We manufacture a large range of Paper Tags for Garment Manufacturers with Barcodes Printed on the same.We have become a one stop source for all Customers looking for a large range of Paper Tags for Apparel, clothing and Home Furnishing Industry, our Paper Tags are available in a wide variety of finishes and can be customized as per your requirements.Our Range of Paper tags for Apparel and Clothing manufacturers is vast and Extensive, we provide a large variety of finishes for our tags and can definitely manufacture tags that meet your specifications. Custom made Paper tags for Apparel Manufacturers worldwide, this particular tag has a printed Pvc sheet with a Card Board Backing, our paper tags can be made available in any design and theme as per your requirement,.Paper Tags custom made for International Apparel Manufacturers, We manufacture a huge range Of Paper Tags suitable for the Apparel, Home Furnishing and Gift Industry, we undertake Foil stamping, UV printing, Embossing, Offset Printing, Silk Screen Printing on the same for our clients. We work with a wide variety of Base Papers from Mill made papers, Recycled Papers to Handmade Papers, Bulk Orders only Tags are available with Rivets, with Stick Ons and with Ribbon Ties. We also undertake Custom made Tags for clients and you can provide us with your designs and themes , Our Most Popular Tag has been made with Mulberry Handmade Paper. We have a huge manufacturing facility and ability to make Paper Tags. We also have a inhouse design team and can help you with the design of the tags. We also try and understand your requirement, our client service team helps you get tags that actually meets your needs, we just do not make Tags, we try and understand what exactly you need We supply our Tags to Garment and Clothing , Bag and Watch Manufacturers Worldwide. We have a fantastically large range of Handmade Papers that are also suitable for making Tags, We also make 9-10 Color Tags using Hand Screen Prints, which look exceptionally Beautiful. Our Handmade Paper Tags are very popular with eco friendly, earth Friendly product manufacturers. We supply Paper Tags to International Manufacturers who have contracted their Apparel Production in India. We also manufacture Gift Tags. We also manufacture and supply Paper tags for Tag Stockers Worldwide. Custom made Paper tags for Apparel Manufacturers worldwide, this particular tag has a printed Pvc sheet with a Card Board Backing, our paper tags can be made available in any design and theme as per your requirement,.Paper Tags custom made for International Apparel Manufacturers, We manufacture a huge range Of Paper Tags suitable for the Apparel, Home Furnishing and Gift Industry, we undertake Foil stamping, UV printing, Embossing, Offset Printing, Silk Screen Printing on the same for our clients. We work with a wide variety of Base Papers from Mill made papers, Recycled Papers to Handmade Papers, Bulk Orders only Tags are available with Rivets, with Stick Ons and with Ribbon Ties. We also undertake Custom made Tags for clients and you can provide us with your designs and themes , Our Most Popular Tag has been made with Mulberry Handmade Paper. We have a huge manufacturing facility and ability to make Paper Tags. We also have a inhouse design team and can help you with the design of the tags. We also try and understand your requirement, our client service team helps you get tags that actually meets your needs, we just do not make Tags , we try and understand what exactly you need We supply our Tags to Garment and Clothing , Bag and Watch Manufacturers Worldwide. We have a fantastically large range of Handmade Papers that are also suitable for making Tags, We also make 9-10 Color Tags using Hand Screen Prints, which look exceptionally Beautiful. Our Handmade Paper Tags are very popular with eco friendly, earth Friendly product manufacturers. We supply Paper Tags to International Manufacturers who have contracted their Apparel Production in India. We also manufacture Gift Tags. We also manufacture and supply Paper tags for Tag Stockers Worldwide.